(Natural News) Most Left-wing American political figures, entertainers and academics speak highly of the United Kingdom’s socialized medicine system, saying that the U.S. ought to emulate it. But they don’t live there so they don’t really know just how bad it is, and how close it is getting to collapse. In a letter to Health Secretary Jeremy Hunt, the British Medical Association says that the government pledged to spend an additional £12 billion (about $16 billion) earlier this year, but that additional funding has yet to materialize, placing greater strains on an already financially burdened system. In the strongly-worded letter that was signed by Dr. Richard Vautry, the BMA’s head of the GP Committee, the group said its members were threatening to turn away new patients “en masse,” adding that patient demand is so “unprecedented” that senior physicians are either retiring or quitting their profession. Besides needing additional funding to care for more patients, the BMA warned that NHS-run hospitals are falling apart, including surgery suites. “Practices are reaching the point where closing their [new patient] lists seems the only viable way to ensure patient safety,” he wrote. Because of a rising and aging population, surgeons and practitioners throughout England are being overwhelmed. On top of rising demand, there is a national shortage of doctors (and who really wonders why). The British government has said it would attempt to recruit an additional 5,000 family physicians by the 2020-21 timeframe, but the most recent data indicate that as many as 400 doctors per month are quitting. Many physicians are retiring way early — in the 50s — or they are moving abroad. Some have left to work in the private sector. In addition, the BMA is upset that a “rescue package” proposed by the NHS’ top officials for surgeries has not come through. The promised package would have provided an additional £2.4 billion for general practice until the 2020-21 timeframe for additional doctors and other staff, and for upgrading run-down surgery centers, the Daily Mail noted. In September, the BMA conducted a survey of 1,870 senior “partner” physicians; the organization found that more than half — 54 percent — said they were willing to stop taking new patients because they simply can’t handle the additional load. “They can do this legally as long as they obtain approval from local NHS managers on the grounds that patient safety is at risk by surgeries being overwhelmed,” the Daily Mail reported. Some practices have already begun to stop taking new patients. Chronic government underfunding of the NHS is nothing new. 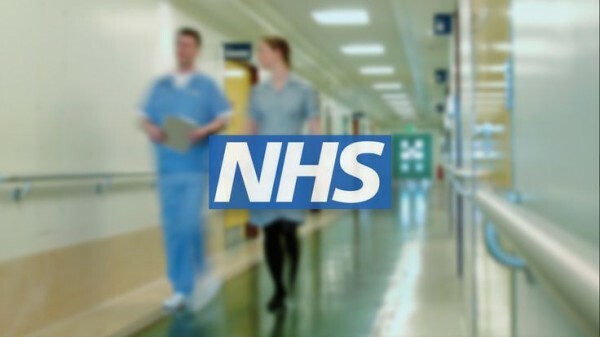 In June 2014, the chairman of the BMA, Dr. Mark Porter, told doctors at the organization’s annual conference that members should “fight every day” until an upcoming general election to expose “the chronic lack of investment” in the NHS, the UK’s Independent reported. And yet, this is the kind of system envisioned by Sen. Bernie Sanders, I-Vt., who has proposed a “single-payer,” “Medicare-for-all” system that would cost a mind-boggling $14-15 trillion over a decade, the Washington Post noted. How bad is a socialized healthcare system pushed by Sanders? So bad his own state balked at implementing the exact same plan because it was — wait for it — prohibitively expensive. There is nothing superior to a health care system that is exclusively free-market in its design — that is to say, free from government regulatory and tax schemes. When competition, which is the bedrock of free market capitalism, is allowed to flourish, services become cheaper, better, and more efficient. We know this because this is the healthcare model America used to have, back when doctors still made house calls. Previous :Remember when Barack Obama and Eric Holder allowed guns to be put in the hands of Mexican drug cartels in order to cause maximum violence?